Nivasa Udaan in Lohegaon, Pune by Nivasa and Nimbalkar Family and Abrol Properties is a residential project. The size of the Apartment ranges in between 333.68 sq.ft.  and 759.0 sq.ft. Nivasa Udaan price ranges from 30.43 Lacs to 48.29 Lacs. Nivasa Udaan offers facilities such as Gymnasium and Lift. This is a RERA registered project with registration number P52100006335. Bank loan approved from HDFC home loans, State Bank of India, Punjab National Bank, AXIS Bank LTD. and LIC Housing Finance Ltd. It is an under construction project with possession offered in Jun, 2019. The project is spread over a total area of 2.12 acres of land. Nivasa Udaan has a total of 3 towers. The construction is of 10 floors. An accommodation of 235 units has been provided. Nivasa Udaan brochure is also available for easy reference. Where is Nivasa Udaan located? Lohegaon, a prime residential locality for house seekers in Pune. What is available flat size in Nivasa Udaan? Flat sizes in the project range from 335.0 sqft to 759.0 sqft. What is the area of 1 bhk in Nivasa Udaan? 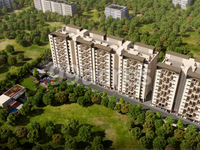 1 BHK units in the project are available in a size of 335.0 sqft to 487.0 sqft. What is size of 2 bhk in Nivasa Udaan? The area of 2 BHK apartments ranges from 484.0 sqft to 759.0 sqft. What is the 3 bedroom size in Nivasa Udaan? The area of 3BHK units in the project varies from 645.0 sqft to 753.0 sqft. How much is the actual area of Nivasa Udaan?The area of the project is 2.12 Acres.